ALOHA !!! Its been a long time since I connected with you all. I spent last week in Hawaii with my family enjoying the warm beautiful weather and wonderful and warmer Hawaiian people. And yes who can forget the lip smacking delicious tropical fruits and vegetables. I was not only tempted to try all these delicious, flavourful foods but wanted to experiment with these foods while there. The recipe today is the first one of the few that I tried making there. Off course we will not find the rich golden Hawaiian papaya here but the other locally available papayas will be good substitutes. Hope you will enjoy this as much as we all did. 1. Peel and cut the papaya into small cubes after removing the seeds. 2. 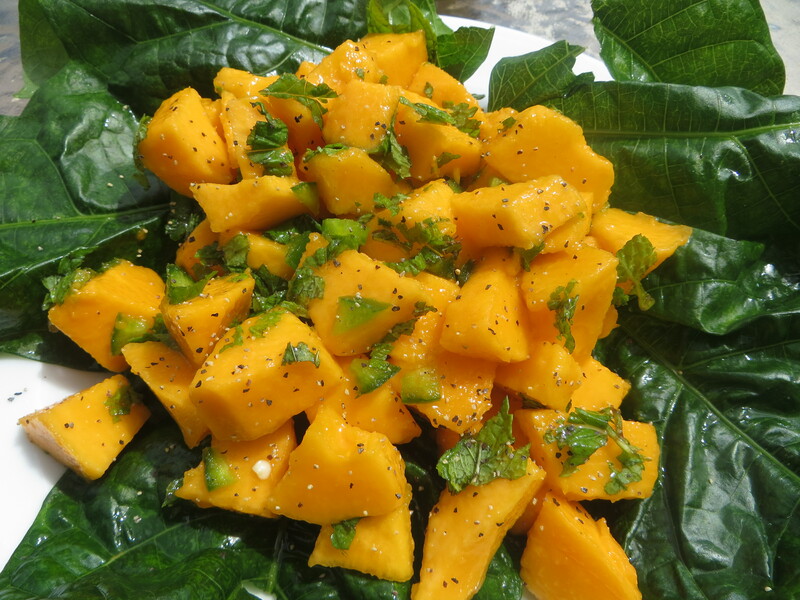 Add the remaining ingredients, toss carefully so tht papaya does not get mushy and serve on a bed of greens. 3. Enjoy this refreshing sweet delicious dessert any time of the day.